Shalom Klein - What A Great Website! Shalom Klein wears a multitude of hats. He’s a business coach, consultant, speaker, community advocate, radio show host, podcaster, author and networking superstar. 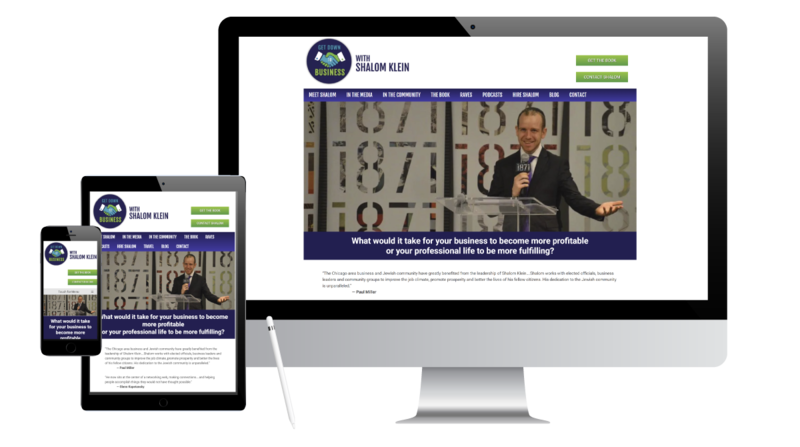 We built him a website that incorporated his many roles into one clear, compelling package. Bold subheads break up content for easy scanning and also help with SEO. A streamlined menu makes it easy for site visitors to find his services, follow his radio podcasts and engage with him. And the WordPress platform lets him quickly and easily update his blog with the never ending events he attends.